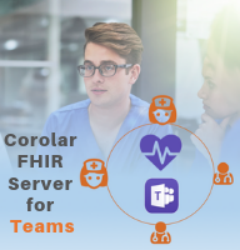 Dapasoft Launches, COROLAR Cloud, a New Healthcare IT Integration Engine Built with Microsoft Logic Apps on Microsoft Azure - Dapasoft Inc.
Corolar Cloud Brings Cloud Economics to Clinical Data Integration for Healthcare Providers, Payors and App Developers. 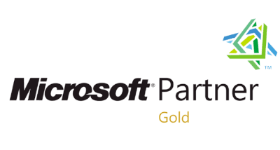 (TORONTO, ON) – Dapasoft, a leading North American provider of healthcare IT integration and a Microsoft Gold Partner, today announced the launch of the first version of Corolar Cloud. It is a robust and easy-to-use Health Level Seven (HL7) integration engine running on Microsoft Azure. The Corolar Cloud clinical data integration engine was designed and developed with Microsoft Logic Apps on Azure. Corolar Cloud enables healthcare CIOs to securely on-board the latest mobile healthcare apps and Internet of Things (IoT) solutions for improving quality of care and reducing cost of care. Corolar Cloud runs on Azure, but can easily cater to an organization’s on-premises needs since it is compatible with Microsoft BizTalk. Corolar Cloud is already proving very popular with leading mobile and cloud app developers familiar with the Microsoft technology stack. Early adopters of Corolar Cloud include a major public health care agency in North America and a leading cloud-based real-time healthcare appointment scheduling application developer. Robust integration engine for healthcare designed and developed on Azure using Logic Apps. Pay-as-you-go healthcare integration model caters to providers, payors, and app developers on Azure. Ensures easy interoperability by working with MLLP, FHIR, C-CDA, and HL7 (v2 and v3) standards. Provides an easy-to-deploy and use clinical data repository for health analytics in Azure SQL Database. Easy-to-use graphical UX drives down the cost of developing and maintaining HL7 integrations on MLLP. To learn more about the Corolar Cloud and Azure, please visit this page. Dapasoft is pioneering the future of healthcare apps and data interoperability. Dapasoft’s healthcare iPaaS on Azure enables legacy health IT systems and independent SaaS apps to work together seamlessly for improving quality and cost of care. Our iPaaS has pre-built and highly customizable adapters ideal for easily building and quickly deploying custom healthcare integrations. Headquartered in Toronto, Ontario, Dapasoft is trusted by numerous healthcare providers, payors, and app developers to power their businesses everyday, integrating a wide variety of clinical, EHR, CRM, and health analytics systems. Our approach sets us apart: We blend over 12 years of healthcare integration expertise on HL7, C-CDA, FHIR, and others with our highly flexible iPaaS and data exchange technology on Azure. We bolster your business quickly and cost effectively; in the cloud, on-premises, or a hybrid environment.